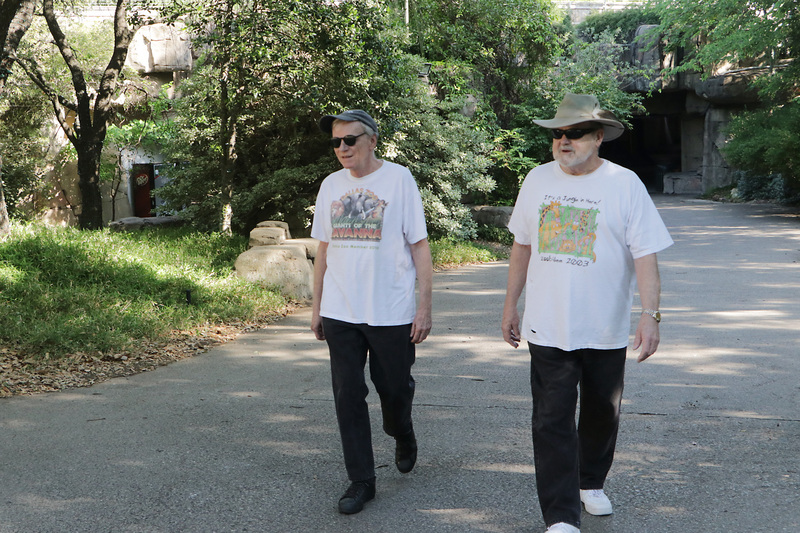 David Bacon (left) and Joe Barentine (right) walking at the Zoo. Did you know that if you visit the Zoo frequently enough, some of the animals may actually recognize you? Some even go beyond simple recognition and want to interact with you. Don’t just take our word for it, though. 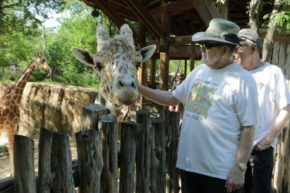 Ask Dallas Zoo member Joe Barentine and his partner, David Bacon. Until he saw it for himself. This isn’t the only interaction he’s had with our animals. He’s had moments range from the humorous—like when one monkey started recognizing Joe, and it tried to startle him every week by jumping out at him in its habitat—to the cathartic, like when he would look into the eyes of former hippo Papa. What started out as exercise for Joe quickly turned into something more. Twenty-seven years ago when he found the Zoo, he just wanted a safe place in Oak Cliff to walk. Walking at the Zoo is now a meditative experience for Joe. As a member of the Zoo, he has the opportunity to enjoy our nature, our animals, and all it may bring multiple times a week with his partner, David. In fact, walking at the Zoo is the second longest practice Joe has had in his life. For 30 years, Joe was involved in the practice of law. However, now that Joe is retired, that practice has come to an end. In just three more years, walking at the Dallas Zoo will be the longest single thing he will have done in his life. And from the types of experiences he’s had here, it’s easy to guess that he wouldn’t have it any other way. It’s been eight months since the Rowland family won a one-year Zoo membership, and they can’t stop visiting. The Rowland family: Becca, 15; Abby, 14; Elizabeth, 12; Anna, 10; Daniel, 9; Naomi, 6; Leah, 4; Esther, 2; and Lydia, 10 months. In our first Instagram photo contest last December, we asked guests to tag us with a holiday photo shot at the Zoo. 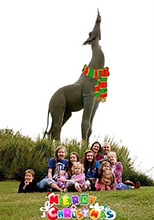 We couldn’t help but choose this family of 11 as the winner after they gathered around our iconic bronze giraffe statue, then creatively added a winter scarf around her neck to make their photo picture-perfect. The family membership couldn’t have gone to a more appreciative family. 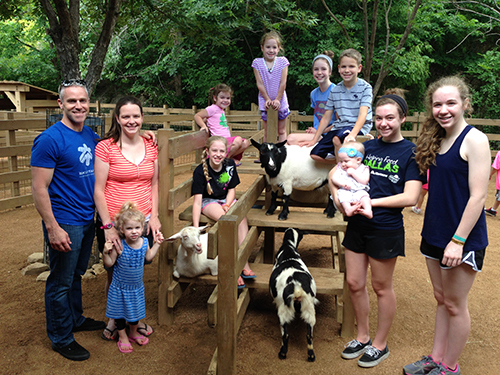 Matthew and Jane Rowland homeschool their nine kids, ranging in age from 10 months to 15 years. It’s a special day when they can take their children out to our interactive classroom. A typical day at the Zoo for the Rowland family starts with rides on the carousel, followed by a stop at their favorite exhibit, the Giants of the Savanna. They like to finish the day by cooling off at the Lacerte Family Children’s Zoo. “The little ones especially love dipping their feet in the pond,” Jane said. Our #ZooHoliday contest was the first Instagram contest the Rowlands have ever entered. And they’re loyal Dallas Zoo guests, having had a membership for the past 12 years. We appreciate that the Rowlands are active members, and that they help spread the word about the great things we’re doing. And this spring, we had nearly 250 guests enter our #DallasZooStatues Instagram contest, tagging their favorite photos posing with our bronze animal statues found across the zoo. Congratulations to Teresa Miranda for her winning photo! Watch our Instagram feed at @dallaszoo for more contests, and you may win something cool, too. The Monorail Safari will remain closed while the Dallas Zoo brings in outside experts to collaborate on a top-to-bottom evaluation of the popular people-mover, which serves more than 200,000 visitors each year. The monorail halted Wednesday after an off-site voltage surge from an Oncor feeder line. The heat was not a factor, nor did the train malfunction; it’s designed to stop after a significant power event. The 48 passengers and the driver climbed down 12-foot ladders. The evaluation will explore why the train remained stopped after the power supply was restored and examine the overall electrical systems and components of the entire monorail. The zoo has reached out to several firms specializing in public conveyances and anticipates having a contract signed next week. The evaluation is expected to take several weeks. Zoo members may exchange their monorail coupons for free rides on the Safari Express mini-train on Picnic Ridge. The Monorail Safari includes three low-speed electric trains, each with 13 cars that move at 3 mph. It runs on a one-mile loop around the back side of the 106-acre zoo, allowing visitors to see six habitats not accessible by foot: mountain, woodlands, river, arid, semi-arid and bush. It also circles above the Chimpanzee Forest, Nile crocodile pond and Penguin Cove. 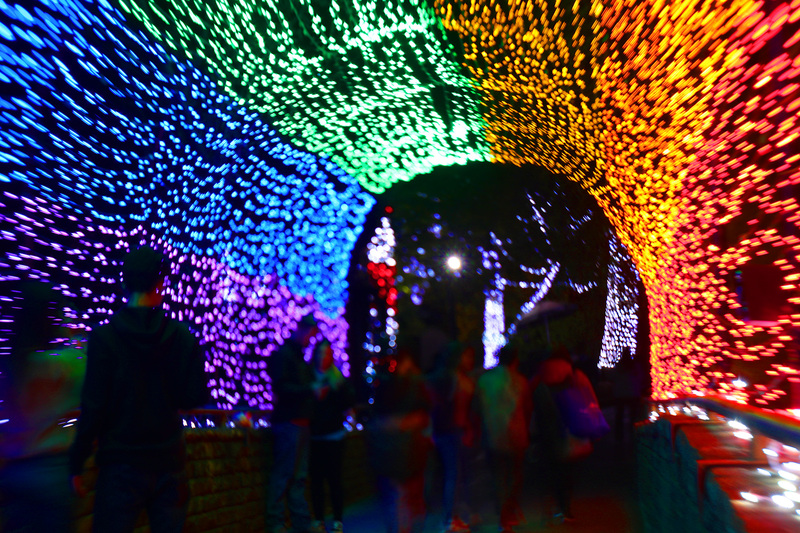 It’s one of just a few in the nation that goes uphill and downhill; the inclines are necessary because the Dallas Zoo sits on a hilly, heartland prairie forest. 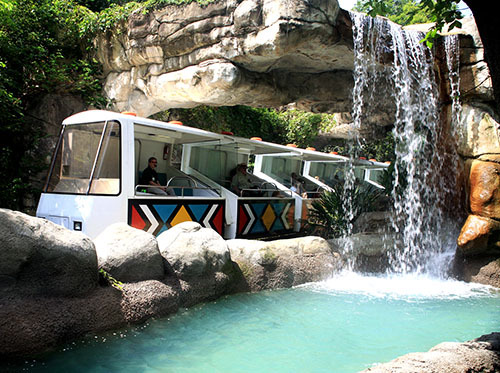 The 24-year-old monorail has been upgraded through the years with updated components, including the electrical system and the 12 motors that propel each train. These efforts have extended the monorail’s lifespan significantly. Repairs and updates are performed by the zoo’s experienced eight-member team of mechanical and electrical experts, which also works with outside consultants as needed.